Join us for the 2019 CORSA Convention in July! Wednesday, March 27, 2019, 7:00 p.m.
All CCE members are welcome. CCE is the host chapter. See articles in your Airhorn. You don't need to own a Corvair to be a member of the Chicagoland Corvair Enthusiasts; all you need is an interest in this unique classic car. As a CCE member, you'll enjoy club events as well as our monthly newsletter, the Airhorn. Contact Dawn Castro, our membership chair, at DawnCastro@comcast.net. Download the CCE membership form. From its introduction in 1960, the Corvair has enjoyed the distinction of being an enthusiast's automobile. In 1968 a group began meeting regularly in a Corvair owner's Oak Park living room. As the group grew, monthly meetings were organized at a local bar. As the club reached a membership of 100 in the mid 1970's the General Motors Training Center in Hinsdale became the venue for years of fun and informative meetings. Today the club has grown to over 200 members. 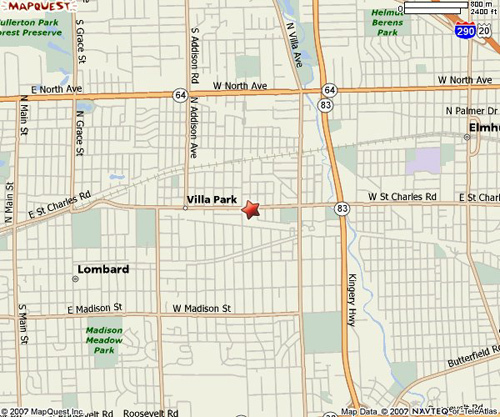 Meetings are held at the VFW Hall in Villa Park, Illinois at 7:30 PM on the third Wednesday of every month. Club business is presented and discussed during the first half of the meetings. The latter portion of the meetings are devoted to Corvair related entertainment ranging from movie nights to tech sessions and an annual Corvair parts auction. Above all the meetings are a chance for everyone to be with their fellow members and friends. Our monthly newsletter, the Airhorn, is second to none. The tireless efforts of the editor and the contributions of material and stories from members make the Airhorn one of the finest newsletters produced by a collector car club. CCE is also active in organizing events throughout the course of the year. Spring and Fall tours are a fun way to see many of the interesting sites in Illinois and its adjoining states. The tours are well organized and are always enjoyed by everyone who participates. There is nothing more fun than seeing the reaction of the people along the way as a "Cor-a-van" of gleaming Corvairs pass through their town. The Chicagoland Corvair Enthusiasts is a diverse club that offers the opportunity for members to enjoy their cars and the company of others who share their love of Chevrolet Corvair cars and trucks. Board meetings are held at 7:00 p.m. on the second Wednesday of each month. CCE members are always welcome. CCE monthly membership meetings are held on the third Wednesday of each month at the Villa Park VFW, 39 E. St. Charles Rd., Villa Park, IL. Doors Open at 7:00 p.m.; meetings begin at 7:30 p.m. Yes, the VFW has a BAR and is centrally located so members from all points in the Chicago area, Wisconsin and Indiana can get to the meetings easily. The hall is well kept, and the beer is cold and cheap. Back in a recent AIRHORN, I suggested that the club establish an e‑mail alert system, to let members know about important occurrences, such as change of venue for meetings and events, changes in dates (such as "Rain Dates"), and other important items, like illness or accident affecting one of our own. We will also put in effect a reminder system (for those who want that) to let our members know about upcoming things like the March Chili Cook-off, Pizza night, tours and holiday parties. I haven't received a lot of input from members, but I still think it's an idea worth pursuing, so Bruce and I have set up such a system, for trial purposes. There is no cost to the club and I think that once our membership has some experience with it, it will prove to be popular and helpful. Larry Claypool has in place something similar for the Frankfort Car Club, and he says it has significantly improved attendance at FCC events. You will send an e‑mail to the address we provide. In that e‑mail you will be asked to provide your name and e‑mail address, and which type of service you want – Alert or Reminder. If you select "Alert" you will only receive e‑mails that our Board members have decided to be more or less of an emergent nature. If this is all you want, select "Alerts Only", and you won't get as much e‑mail. If you select "Reminders" that is all you have to do – you will get any alert messages that are sent, but you will also get reminders – generally twice per event – one a week before, and a second one the day before said event. All e‑mails will be sent BCC (Blind Carbon Copy) – that is, no one will be able to see the e‑mail addresses of the other recipients, in order to protect your privacy – after all, we don't like spam, either. This service will NOT be used for advertising. The only people with access to outgoing mail will be members of the Board, plus certain selected people, such as Membership Chairman and AIRHORN editor. As you have already surmised, participation is strictly voluntary. YOU must contact us to be on these lists, and YOU tell us which e‑mail address you want us to send to. We will update these lists whenever we prepare to send out an Alert or Reminder – if you want to be removed, or change the type of service; all you need do is send us a request. We will not answer questions sent to this address – this is a mass service only. If you have any questions, feel free to e‑mail any Board member – our addresses are printed on the back cover of your AIRHORN. For those of you who do not have e‑mail, I have a suggestion; arrange to be notified by someone who does, so that we can have complete coverage for our people. In any event, we have decided to run the trial. If you would like to participate, please contact a board member for the e‑mail address. Select which service you want, Alerts Only or Reminders (includes Alerts). Remember to include your name and e‑mail address(es) to which you want the messages sent. Click here to download your sample copy. Some of the most popular articles to appear in the Airhorn have been serialized over the span of several months. Taking a cue from Netflix, we are happy to indulge you in a little binge-reading. So stop digging through your back issues of the Airhorn—all chapters of your favorite stories are here in one tidy package. CCE has accumulated many useful printed items and videos over the years. Our library is kept in the cabinet at the VFW Hall and is open during general meetings. Items may be checked out at that time. There is no limit to the number items or set time duration of material checked out, but we ask that items be returned in a timely manner so that others can use them. Click the links below for lists of the library items. For information, please contact the CCE Library Administrator at gigawatts@sbcglobal.net. Some of our members' favorite automotive links. Have a favorite link that you'd like to share? Please contact the webmaster at boffin@perlplex.com. Have some favorite photos that you'd like to share? Special thanks to Lin, DeeDee, Diane, Liesl, and Sandy for creating the CCE scrapbook! Thanks also to Dennis for making the scrapbook available online.